Dr. Jamison Padgett, accomplished North Carolina dentist, has now been providing leading Invisalign® treatment in Greenville, NC for 10 years. Invisible braces are quickly becoming a preferred method of treatment for crooked teeth, thanks to their discreet appearance and convenience. This year marks Dr. Jamison Padgett’s 10th year providing effective Invisalign® treatment in her Greenville, North Carolina community. 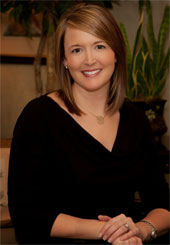 Dr. Padgett is a certified Invisalign® Premier Provider who utilizes the latest imaging technology and cutting-edge treatment techniques when providing invisible braces. Many patients who would like to straighten their teeth prefer Invisalign® over traditional braces because they are comfortable and low-profile. Dedicated to offering experienced and highly-trained care, Dr. Padgett regularly attends continuing education courses for a variety of services including orthodontics, and is a member of the American Orthodontic Society, among others. With a decade of experience offering Invisalign® in Greenville, NC, Dr. Padgett has treated a variety of cases for her patients and understands that every situation is different. Although braces are not always necessary, some people may have misaligned teeth that are visibly noticeable and may cause embarrassment or difficulty when speaking and eating or during oral cleaning routines. In these cases, corrective orthodontic appliances such as Invisalign® can help move the teeth back to a straighter and more attractive and healthy alignment. Unlike traditional braces, invisible braces are not easily seen and can be removed as needed to eat and clean the teeth. Due to this unique removable feature, individuals who receive Invisalign® aligners are typically able to keep their teeth and gums healthy by removing their aligners to brush and floss normally. Invisalign® aligners can also be removed as needed for special events and occasions. Those who wear invisible aligners do not need to worry about scrapes or cuts to their cheeks and lips typically caused by traditional braces, since the aligners are smooth and do not have brackets or wires. Patients with crooked teeth, crossbite, spacing issues and other common problems due to misaligned teeth are welcome to receive Invisalign® in Greenville, NC from a respected dentist, Dr. Padgett. An invisible braces consultation can be scheduled by calling 252-360-1855. Capps, Bowman, Padgett and Associates is an all-inclusive dental practice offering personalized dental care for patients in Greenville, NC. Drs. Robert Capps, Mark Bowman, Jamison Padgett and John Hoggard offer expert experience in cosmetic dentistry, orthodontics, laser dentistry and more. The doctors at Capps, Bowman, Padgett and Associates are dedicated to continuing education for themselves as well as increasing awareness of dental issues in their community through outlets such as involvement in a local television program dedicated to dentistry education. To learn more about Capps, Bowman, Padgett and Associates and the services they offer, visit their website at http://www.cappsbowman.com or call (252) 360-1855 to schedule an appointment.